My kids are counting down the days till the end of the school year. It’s not much longer! Now is the time to start planning a fun family adventure. We’ve been discussing different getaways, but it’s been challenging to come to a consensus and pick the perfect spot that will make everyone happy. Whatever destination your family chooses, Bayer® has you covered with products that help you keep up with the kids and enjoy your time away. 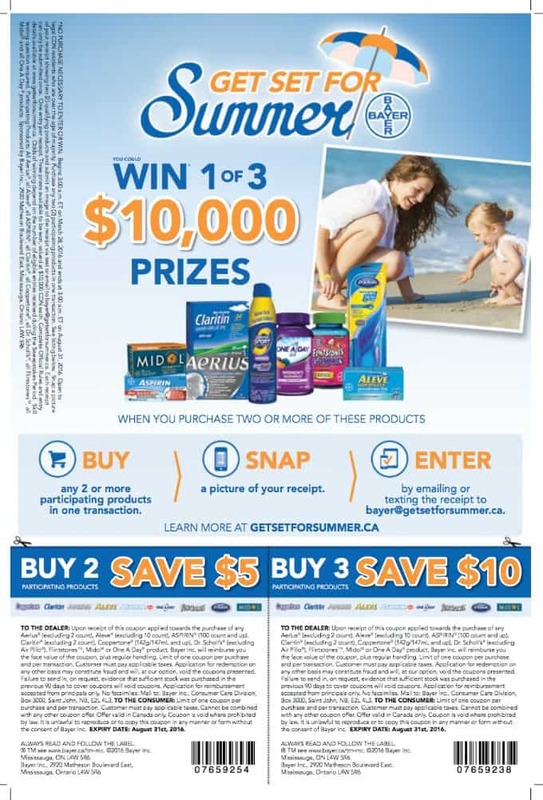 Bayer® wants you to #GetSetForSummer with a special promotion; they are giving Canadian families the chance to win 1 of 3 top prizes of $10,000! To enter, buy* two or more Bayer® products that were likely already on your summer shopping list, take a picture of your receipt and either text or email the picture to [email protected] Easy! For more information and a savings coupon, visit www.getsetforsummer.ca. 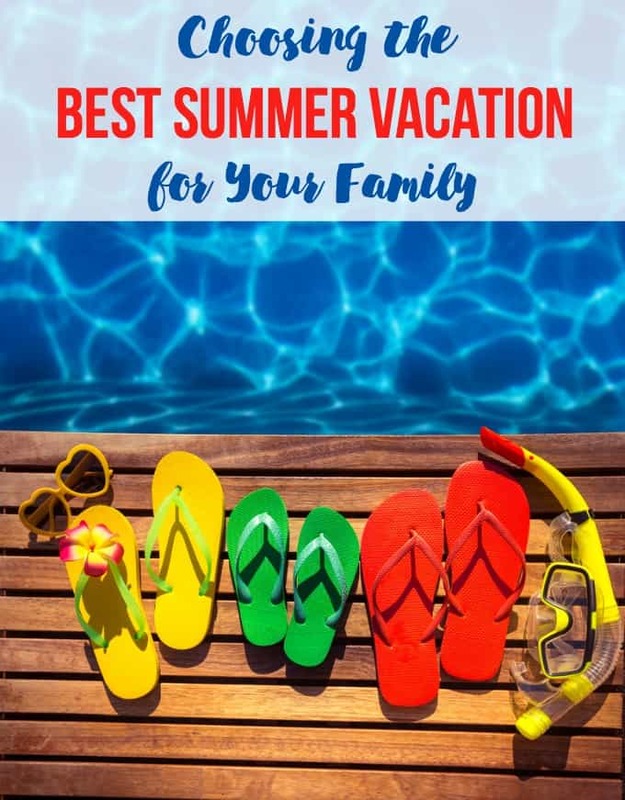 I have some suggestions to share today to help you decide on the best summer vacation for your family. If your family loves to relax in the sun, plan a beach vacation. Besides soaking in the sun’s rays, your family can swim, build sandcastles and play a game of beach Frisbee. Try a beachside resort in the Caribbean or an affordable vacation home in the sunshine state, Florida. No passports? No problem. Canada has many beautiful beaches perfect for a weekend trip. If your family loves shopping, culture and cuisine, plan a trip to a big city. You can fill the days with shopping and enjoy fine dining in the evening. Visit museums, festivals and other fun cultural activities that are happening during your visit. My two favourite cities to visit are New York City and Ottawa. The good news is that they aren’t too far from us. If you are already a city dweller, get out and explore your city and act like tourists for a day. If your family wants a maximum vacation with minimum stress, plan an all-inclusive cruise or resort vacation. This way everyone’s needs are taken care of ahead of time with pre-planned activities and multiple dining options. Sometimes, you can even find a child-care option if your kids are younger so you can enjoy some quality couple time while they participate in fun activities. If your family loves the great outdoors, plan a camping trip or rent a cottage. Getting outside in nature is a wonderful way to spend quality time with your family. Think no TV or mobile devices to distract kids (or parents!). I like the idea of staying in a cottage so I can still have some of the luxuries of home. If your family loves to be spontaneous, plan a road trip. Let the road lead you to your next vacation spot. Stop at places that interest you and enjoy the freedom of not having a set itinerary in place. The only thing you need to plan is lots of bathroom breaks! To be sure these products are suitable for you, always read and follow the label. What are your family’s summer vacation plans? great contest! I love summer, my favorite time of year! We will be camping, walking and hiking, spending lots of time outdoors! Hope your summer is the best one yet! We’re thinking of going to Niagara Falls and Crystal Beach.